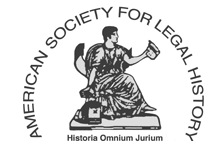 The ASLH will be returning to Washington, DC for its 2015 annual meeting. The dates of the meeting will be Thursday, October 29, 2015 – Sunday, Nov 1, 2015, and the meeting hotel is the Hyatt Regency Washington on Capitol Hill. The discounted room rate is $169 per night plus tax, and the link to book the hotel is imbedded in the email receipt received after registering for the annual meeting. The Plenary reception will be held at the Supreme Court of the United States. A copy of a pre-circulated paper by Amalia Kessler is here: “Freedmen’s Bureau Courts and the Critique (and Resurgence) of Adversarialism”. A copy of a pre-circulated paper by James Pfander is here: “Standing in the Eighteenth Century Scottish Court of Session”.